When winter is rolling in, it is time to consider a lowering water lvels. This is mainly to make sure your water is in top condition as well as an opportunity to fix and issues. The swimming season is over and it’s time to close up for winter. There are several reasons you may need a reduce your water such as: An excessive accumulation of TDS, a build up of chemicals, or it’s time to close it up for winter and lower the water level. 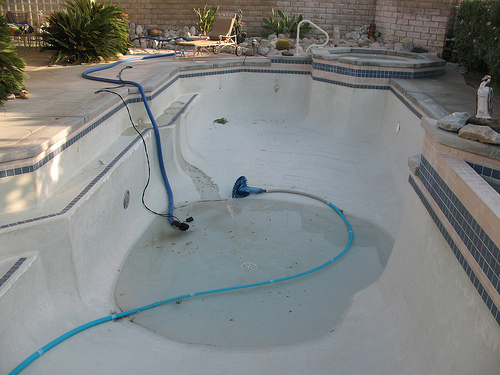 We can help you determine whether your pool needs a water purge and if it does, we can help you through the process. During the summer time can be disastrous on your plaster. If you aren’t careful, the heat from the sun can damage the surface of your pool that remains under water. If you call us, we can tell you when it is safe.